Welcome to the inaugural post of Polishing Rubies! In this blog post series I will be walking through the process of building and maintaining open source libraries in Ruby from the ground up. 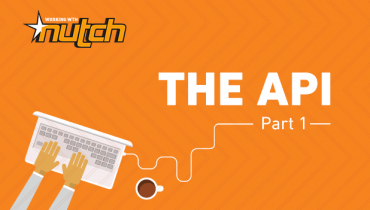 Building an open source library can be a daunting task if you've never done it before. How should I structure the project? What do I need to include in terms of documentation? What tools can I use to make my library friendly for others to contribute? We'll get to all of that. But before we do, I think it's worthwhile to examine the RubyGems system, how it works, and what exactly makes up a gem. Once you understand all of that, the idea of creating a gem will be neither confusing nor mysterious but rather just another tool in your arsenal to be used to help make your projects cleaner, more modular, as well as to help you contribute to the open source community. This post series assumes that you have already installed Ruby on your development machine. You can visit the Ruby language download page if you need help getting started with Ruby. All programming languages have support for libraries. Libraries are collections of reusable code that are usually grouped around a common purpose. There can be libraries for just about anything, from advanced processing of strings to higher level math functions to entire encapsulated applications. While all programming languages have libraries, not all programming languages have a system to deliver those libraries as simple and elegant as RubyGems. RubyGems is an internet-aware package management system that allows for the download and installation of new libraries through the simple gem install command. 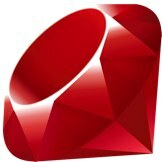 RubyGems is a part of the Ruby programming language. If you have Ruby (version 1.9.2 or later), you have RubyGems. A companion tool to RubyGems that has become indispensable for Ruby development is Bundler. Bundler is a way to manage all of the various gem dependencies for a Ruby project simply and in a single place. Bundler is itself a RubyGem and can be installed at a command line with gem install bundler. With Bundler you can specify all of the dependencies of your application (the libraries that your application needs to function) in a single manifest file called a Gemfile. Bundler will automatically find compatible versions of the libraries you specify, and you can additionally include libraries that are checked out via git or are local to your filesystem. Bundler is not mandatory for creating RubyGems, but it provides extremely helpful tools for library authors to automate certain processes. You will learn more about using Bundler when we create our first gem. So What is A Gem, Anyway? bin: This directory will contain any command-line executables that a gem has defined. For instance, the Bundler gem contains a bundler executable in this directory. lib: This directory houses all of your library code. The convention is that you should only define a single file at the "root" level of your lib directory. That file should be named exactly the same as your gem. All other files should go into a subdirectory in the lib directory named after your gem (the lib/my-gem directory in the example above). spec or test: This directory houses all of the automated tests for your gem. Nearly all open source gems have automated tests as testing ensures both maximum quality and maximum reliability for code that is being worked on by many parties such as an open source project. my-gem.gemspec: Every gem needs a gemspec file that is effectively all of the metadata that RubyGems needs to know about your library. We will dig into the gemspec in a later post. Gemfile: This is the manifest file used by Bundler to keep track of the project's dependencies. This is primarily present to make it easy for other developers to check out and work on the source code of a library. Rakefile: Rake is a library that allows developers to define simple "tasks" that can be performed via the rake command at the command line. 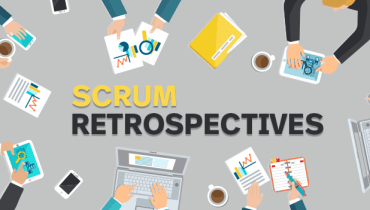 Most gems have rake tasks for running specs, generating documentation, and performing release-time chores. And really, that's pretty much it! If you're feeling a little bit overwhelmed by this list, don't worry: we will cover the needs and uses of each of these files in depth as we build our gem throughout this series. I just wanted to give you a clear overview up front of what really goes into a gem. Remember: a gem is just a folder that follows some conventions and rules, nothing more. Why Would I Want To Create A Gem? By encapsulating reusable code in a packaged library, you are able to reuse that code in multiple applications without rewriting the same thing over and over. Individuals who release open source libraries build a reputation in the community. Most of the "well-known" Ruby developers became so by giving back to the community in the form of useful open source libraries. Companies who promote open source development are more likely to attract the very best programmers, as the very best programmers in the Ruby communities tend to be deeply involved in the open source community. When you release open source libraries, other people do some of the work for you! When the community can fix bugs and make improvements to common libraries it helps everyone get more done faster. Again, there are far too many reasons to list here as to why you might want to release open source libraries. You might find some more answers in Intridea's own Open Source Citizenry blog post series. In my next post I'll be covering the creation of the basic structure of a gem as well as getting it well-situated for automated testing, documentation, and other common needs. If you have any questions, comments, inaccuracies, or suggestions please do comment below or fork this post on GitHub. I want this to be a clear and accurate guide that can serve as a great starting point for anyone who wants to get involved in the Ruby open source world. Until next time, keep polishing those gems!